Innovator and thinker Buckminster Fuller had a vision for a future where housing would be affordable, sturdy, and self-sufficient. 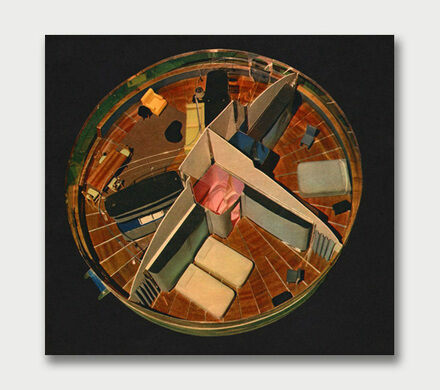 His prototype for this future was the Dymaxion House, part of his “dymaxion” line of inventions. With over 5,000 champions, the Hall of Fame continues to draw amateur eaters. 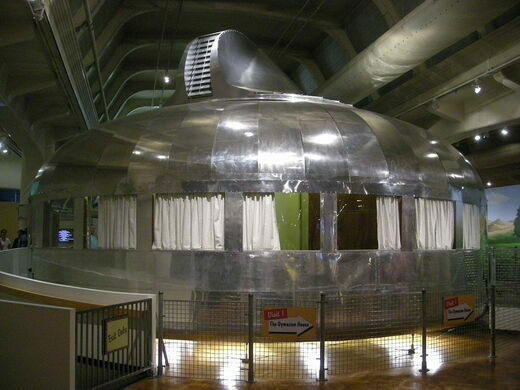 Inspired by his 1927 idea for a mass produced house, the Dymaxion House built in 1946 in Wichita, Kansas, was meant to be easily shipped and constructed. It utilized surplus material from World War II, namely aluminum, and could withstand a Kansas tornado. It’s considered one of the most cost-effective houses ever designed as its 1,100 square feet with two bedrooms had a greywater system to reduce water use, and was heated and cooled naturally, all costing about the same as a nice car. Due to its material it required little maintenance, and a downdraft ventilation from the central support even cut down the need for vacuuming. Yet despite all these things going for it, the little metal house never caught on. 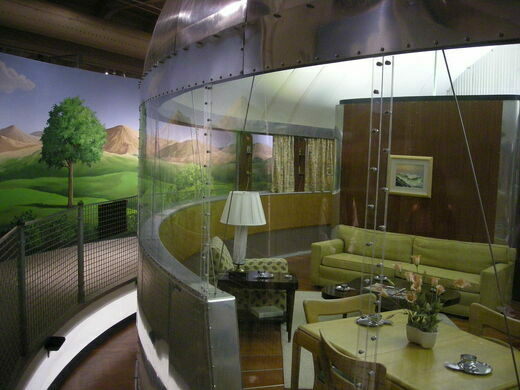 In 1991, this sole Dymaxion House prototype was donated to the Henry Ford Museum in Michigan, which also houses such scientific wonders as Edison’s Last Breath. It then underwent an eight year restoration before going on display in 2001, and in 2013 another conservation project was started to maintain Fuller’s vision of a better designed world. The 80 foot tire which looms over Michigan's I-94 was once a Ferris wheel in the New York World Fair. The world's largest commercially available hamburger is complete with 15 pounds of lettuce, 30 pounds of bacon, and 36 pounds of cheese.